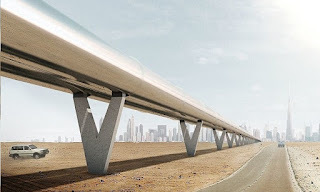 Andhra Pradesh government has signed an MoU with the US-based Hyperloop Transportation Technologies (HTT) to build India's first Hyperloop system. Under the MoU, a six-month feasibility study would be conducted from October 2017. Hyperloop is proposed to be introduced between the city centres of Vijayawada and Amaravati. It will supposedly cover the distance of over 35 km only in five minutes. The project will be taken up in the public-private- partnership mode with the funding coming primarily from private investors. The AP Economic Development Board (AP-EDB) and HTT signed an memorandum of understanding (MoU). But an official release on the MoU did not disclose the probable cost of the project.